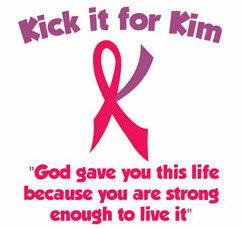 T he First Annual Kick it for Kim Invitational is held in memory of one of BIO’s founding partners, Kim Hyde who lost her fight with cancer on October 11, 2015. This year, part of the proceeds will be going to help our sister gym, Edgewater Gymnastics in Panama City Beach, FL whos gym was destroyed by Hurricane Michael. Held on March 23-24, 2019 at South Forsyth High School’s brand new facility, we are pleased to be hosting gym stars, AAU & USAG levels and the Forsyth County Championships for high school gymnastics. USAG Club ID and coaches information must be included. We will be offering special t-shirts for the meet available for preorder for $10. Some of the proceeds from the t-shirt sales will be going to a charity or organization in need. This year, we will be fundraising for Edgewater Gymnastics who lost their entire gym from Hurricane Michael. BIO is known for providing wonderful food for our judges and coaches. Meals will be provided for every session. As well as snacks and our famous desserts! You will not be disappointed! South Forsyth High School is conveniently located off GA400 at exit 13. Click here for directions. You must enter using the Peachtree Pkwy. (Hwy. 141) entrance. There will be signs from the parking lot directing you to the gym where the competition will be held. We look forward to seeing everyone at the meet! We will be offering special t-shirts for the meet available for preorder for $10. Some of the proceeds from the t-shirt sales will be going to a charity or organization in need. This year, we will be fundraising for Edgewater Gymnastics who lost their entire gym from Hurricane Michael. Please contact your coach to place an order as they have the order forms. South Forsyth High School is conveniently located off GA400 at exit 13. Click here for directions. There are plenty of local restaurants available at The Collection at Forsyth. Your families will enjoy restaurants such as Chick-fil-A, Wendy’s, Grub Burger, Mellow Mushroom and much more. ​We look forward to seeing everyone at the meet! There are several hotels in the area close to the meet. Contemporary property with an indoor pool & 24/7 business center, plus free WiFi & breakfast buffet. Bright hotel with an indoor pool & fitness facilities, plus free WiFi & hot breakfast. Modern hotel offering free WiFi & breakfast, plus an outdoor pool & a patio with fire pit. Coach VladWords of wisdom from our senior technical director.